Love has a power to change us. As human beings we can be pretty stubborn, but there is something about love that allows us to soften enough to change and experience life in a different way. 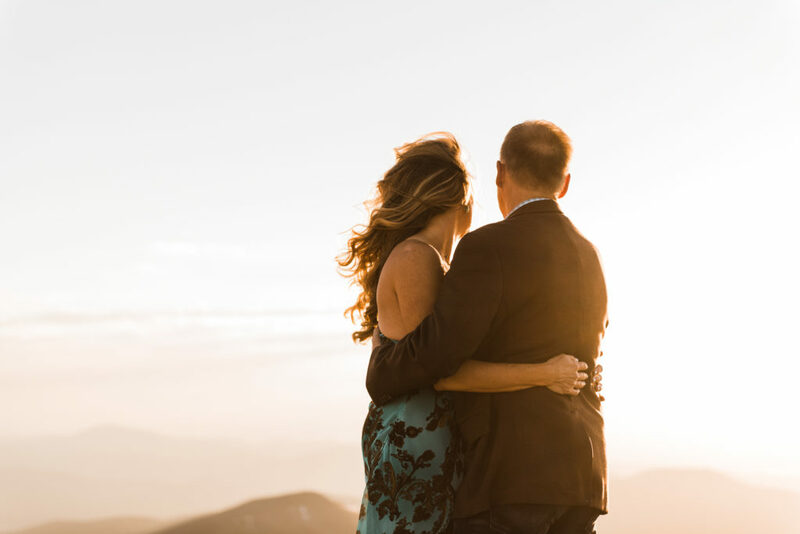 Into her mid-forties Dawn never thought she’d get married. It wasn’t important to her or something she envisioned for her future. Then, she met Kevin and she fell in love. Dawn, an avid cyclist, met Kevin through the bike community in Florida. A small, tight-knit group, they spent a lot of time together riding and talking. Over time the two realized they were falling in love. Dawn says if it wasn’t for biking, none of this would have happened. Their shared passion sparked the beginning of a beautiful life together. 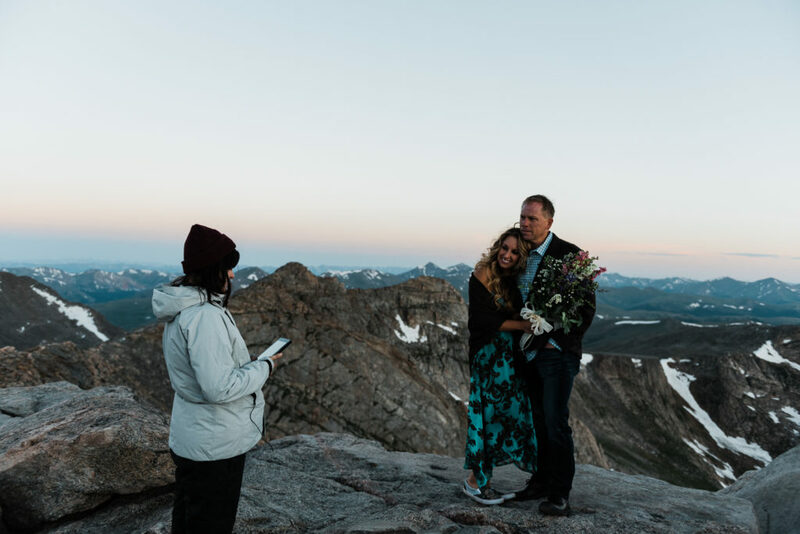 As part of one of their “recharge trips”, the couple decided to head to Colorado and thought, “Hey, why don’t we get married while we’re at it?” The couple did not have a traditional proposal so why would they have a traditional wedding? “We were so pragmatic about getting married, we talked about it a little bit…and then a few weeks later we went and picked out a ring…very nontraditional but it works, ” Dawn said. Most of our clients choose Colorado for its beauty. For its Rocky Mountains and alpine lakes. While there is no doubt that Mt. Evans boasts views with the best of them, Dawn chose it for its significance to her. The first trip the couple took together was to Colorado and on a whim, they decided to check out Mt. Evans. Dawn’s father had died the previous year and she had brought his ashes with her so that when she found the right place she could scatter them in a place that was beautiful and felt right. So, at sunrise on June 28, 2018, Dawn, the amazing cyclist from Florida who said she would never get married said “I do” to Kevin, the love of her life. Dawn wore a gorgeous dress that her mother made and Kevin wore a handkerchief from the same material. She covered herself in thoughtful, personal mementos; a bracelet made from a necklace her dad wore every day, her mother’s wedding band, and jade jewelry from her great-grandmother. 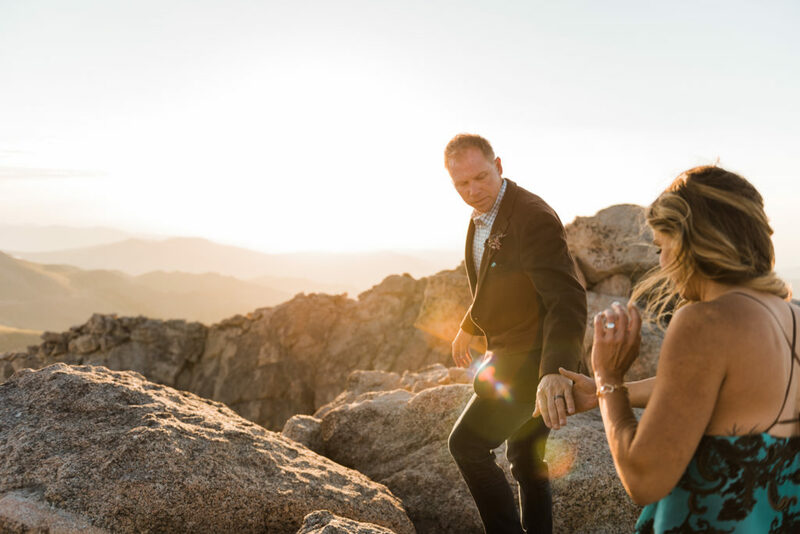 We asked Dawn to explain her feelings the day of the ceremony, “I wanted to stay up there all day and live in that moment. I really cannot verbalize my feeling that day, I can honestly say I have never felt that way before and I guess that is a good thing. Marriage is supposed to be a one-time thing, if you only feel that with the person you love on the day you are devoting your life to them then it makes sense to not have the words to describe it. We want to thank you, Dawn and Kevin, for sharing your story with us and even letting us be a part of it. We wish you the best, brightest future filled with many bike rides and sunrises together. 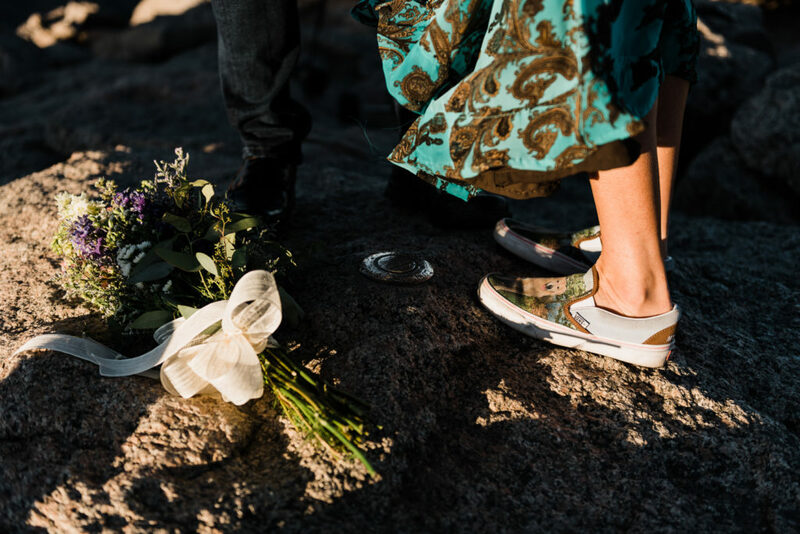 All photos credit to Austin Drawhorn of Simply Eloped; Video Mckenna Bird of Simply Eloped.